The "Quick-Change" feature allows signs to easily slide in and out. 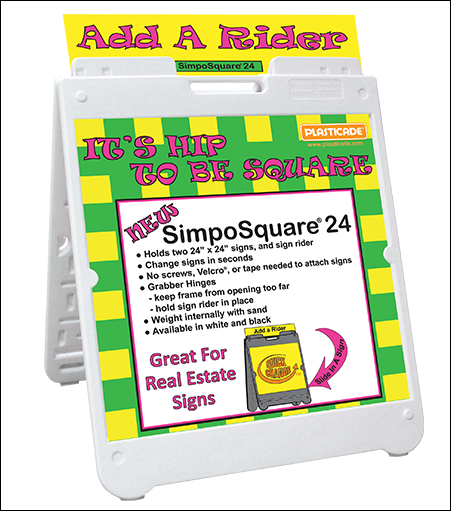 With the Simpo Square 24 you can change signs in seconds. Use indoors and outdoors. No rust, no maintenance and non-slip feet. 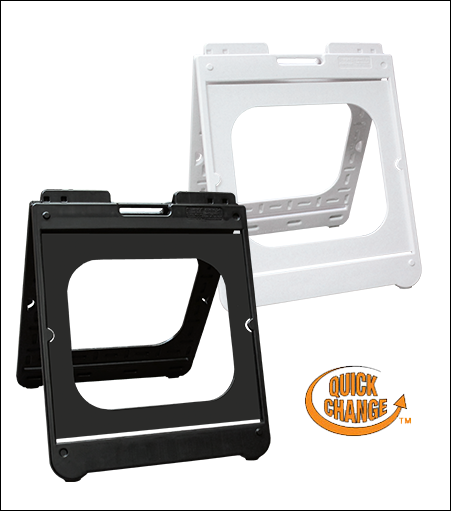 Molded handle for easy portability.